Before we break down the lexis of my new tagline, let me take this moment to say my sincerest appreciation to those who have been avid readers of erbasilio.wordpress.com for the last three years: Thank you so much for reaching this point of my ramblings and unworthy posts, and for lending me your virtual ears. This is truly something I will forever value. And for those who just subscribed to my blog, I would like to extend my gratitude still. The mere fact that you are reading this right now deserves a heartfelt thank you. 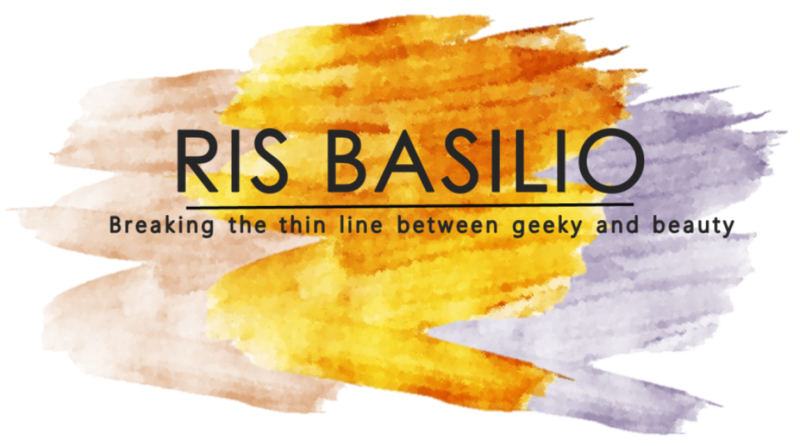 Three and years and counting – that’s how long I have been blogging ideas, crafts, cosmetics, adventures, ranting, pictures, reviews, events and all that on erbasilio.wordpress.com. Never in my wildest dream have I imagined that a day filled with pathetic insecurities and enraged teenage hormones will lead me this far. “Confessions of a Bored Damsel” being the first tagline for this blog, were the exact words to sum up how aloof I was with life way back when I started on WordPress. But now, that I have set my priorities – not just with this blog but in real life as well – I decided to alter the posts that I will be publishing. If you are expecting me to delete or edit the previous posts here, well then you are wrong. Let us treat that as the past that WE CAN NEVER CHANGE. Hence, what we can change is the FUTURE through PRESENT TIME. Breaking the thin line between geeky and beauty. Breaking is the word I chose to emphasize the eternal state of things that are broken (literally and figuratively). Pieces might be brought back together, but it will never be like it was before. The thin line, on the other hand, is my way to describe how very much parallel it seems to me both being a “geek” and “beautiful” are. This thin line parts mainstream beauty from those who are also priceless themselves. Through Breaking the Thin Line between Geeky and Beauty only can I advocate that being a “non-mainstream” or by just being you, showcases true exquisiteness itself. This might include embracing awkward interests; even strange sets of interests, (like cosmetics and the cosmos, a punk rock enthusiast and a Disney baby, or by a being an environmental warrior and a style guru) will never hold back the genuine beauty we all have. I know for some, this may sound like the oddest of pairs, but I know I am not the only one who has them. That is why I came up to object the clichéd concept of being on “that side” of a person. I personally would like to promote how being you – even if it is by being geeky – can be the only way of having true beauty. PS. I am still working on a better header so, sorry for the quality as for now. Previous Post Stress-free in One, Two, Three!